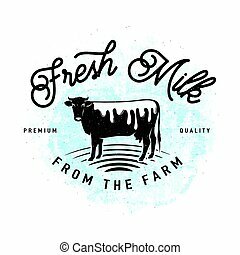 Natural logo design, organic food label, emblem for cafe, packaging, restaurant, farm products vector Illustration isolated on a white background. Natural logo design, eco premium quality label, emblem for cafe, packaging, restaurant, farm products vector Illustration isolated on a white background. Eco natural logo, healthy organic food label, emblem for cafe, packaging, restaurant, farm products vector Illustration isolated on a white background. Eco natural logo, premium quality label with green leaves and human hand, emblem for cafe, packaging, restaurant, farm products vector Illustration isolated on a white background. Natural logo design, healthy organic food label, emblem for cafe, packaging, restaurant, farm vector Illustration isolated on a white background. Natural logo design, healthy organic food label with green leaves and human hands, emblem for cafe, packaging, restaurant, farm products vector Illustration isolated on a white background. Natural logo design, healthy premium quality label with green leaves and human hand, emblem for cafe, packaging, restaurant, farm products vector Illustration isolated on a white background. Eco logo, healthy organic food label, emblem for cafe, packaging, restaurant, farm products vector Illustration isolated on a white background.